An Oregon man living in a small town set up “numerous” shell companies for Russian clients and funneled more than $172 million to at least 50 countries, prosecutors said. Victor Kaganov, 69, of Tigard, has pleaded guilty to charges of operating an unlicensed money-transmitting business. 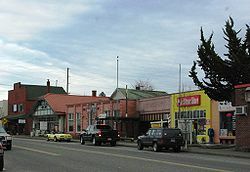 Tigard is small city whose population is about 47,000. Kaganov was born in Russia. He moved to the United States in 1998 and became a naturalized citizen, prosecutors said. The announcement of the guilty plea was made in Washington by Assistant Attorney General Lanny A. Breuer, the head of the Criminal Division of the U.S. Department of Justice. Using stark language, Breuer said U.S. investigators followed the money to expose the crime and were committed to exposing similar crimes. The FBI has repeatedly warned Congress about a “shadow” banking system and shell companies set up to disguise crimes. “Now more than ever, we are determined to bring to justice those who attempt to hide funds in U.S. financial institutions,” Breuer said. The probe was led by the office of U.S. Attorney Dwight C. Holton of the District of Oregon. Holton, like Breuer, also used stark language when describing the Oregon caper. Holton and Breuer were backed by Oregon’s top FBI agent, who also used stark language. Agents determined that Kaganov made at least 4,200 illegal wire transfers. Kaganov’s operation complied with neither Oregon law nor U.S. law, prosecutors said.